Keith Brooke and Eric Brown are two long-standing members of the Interzone generation: the group of mainly UK-based writers whose careers have grown around the Hugo-winning magazine. Both started publishing short fiction in the late 1980s: first Brown with "Krash-Bangg Joe and the Pineal Zen Equation" in the Autumn 1987 issue of Interzone and then Brooke (after two small press stories) with "Adrenotropic Man" in the July 1989 issue. Each had a story in Chris Evans and Rob Holdstock's Other Edens 3, and they met at the book launch in September 1989. Brooke has published four novels to date: Keepers of the Peace, Expatria and Expatria Incorporated (all Gollancz) and Lord of Stone (self-published on the web, with a revised edition published by Cosmos in 2001); first US editions of the first three novels and a collection of short stories, Head Shots, will be published by Cosmos in 2001. 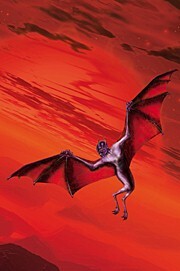 In 1997 he launched the online SF and fantasy fiction archive, infinity plus, which has gone on to publish three quarters of a million words of fiction from eighty professional authors. Family commitments meant he had to get a real job in the early 1990s and now he fits his writing and online publishing activities around his growing young family and his work looking after the University of Essex website. Brooke and Brown have written a number of short stories in collaboration, collected together in Parallax View, published in October 2000 by Sarob Press as a limited edition hardback with illustrations by Dominic Harman. KB: I suppose in one sense, we've collaborated almost as long as we've known each other. Back in 1991 my publishers wanted some changes making to Expatria Incorporated which I wasn't too sure about. You and Steve Baxter very kindly agreed to look at the manuscript and I ended up making most of the changes Gollancz and the two of you suggested and the novel was much stronger as a result. Ever since then, we've critted each other's work before it's submitted, so I suppose all stories appearing under our names are collaborations to some extent. I know my stories are better as a result. EB: Having work criticised is a scary and fascinating process. Like collaboration, it isn't something you'd undertake with anyone. There's trust involved, and a recognition of the other person's ability and insight. Over the years I've given many people my stories to read and comment on, and in general I've found that their comments were either too flattering, or that they missed the point of what I was doing. It's great when you come across the rare person who's on your wavelength and can dissect a tale, point out where it's going wrong, and what needs to be done to fix it. KB: I remember many years ago, walking back from the pub with you one night in Haworth and tentatively asking what you thought about the idea of collaboration. You said you couldn't see how it could work, you didn't like talking about ideas until you'd written the story. I pretty much felt the same (although simultaneously I was intrigued by the idea of collaborating) so I didn't mention it again. EB: The night is lost in the after-effects of too much Timothy Taylor's Best Bitter - but I know why I was reluctant. Two main things. One was that I probably thought that collaborations were never as good as single author stories - they were either compromises, or third rate stories worked over by a second hand. (Which is perhaps true in some cases - but not in others, for example the Pohl/Kornbluth collaborations.) The second reason for my reluctance was more personal. I was unwilling to share with someone the rather inept way I go about thinking up and plotting a story. (The route from original idea to finished product is long and tortuous, involving many detours, discarded ideas, completely off-the-track speculation...) To articulate an idea for a story to someone would be to open up the creaky way my brain works. However, as I recall, our first collaboration wasn't built up from an original idea, was it? KB: You sent me a story you weren't happy with, called "The Girl Who Loved Beethoven". You knew it didn't work, but said you didn't know how to fix it. You wanted to get on with your new novel and you said you were just going to put "The Girl Who..." away and forget about it. I read the story and, although it needed a fair bit of work, I saw quite clearly how to do it. When I'm workshopping someone else's story I always try to resist the temptation to wade in and say, "You should be doing it like this!" It's a process of finding the right questions to ask, rather than supplying my own answers. But the thought of such a striking idea simply being discarded was too much for me and I suggested that if you really were going to abandon the story then maybe I could do something with it. I was wary of intruding on your territory - it was your story, after all - but you responded enthusiastically. So I took the story to pieces, built it up again and then we bounced it back and forth by post so many times that I suspect neither of us could confidently say who contributed which elements. That story became "Appassionata" (Interzone, July 1996). EB: We did a couple more stories like this. From my point of view it was nice to see stories that I liked - but that I had to admit didn't work - turn into good pieces. What amazed me with the finished results was not only that they worked, and worked well, but that you'd incorporated your own take into the story and produced something that I, alone, would have had no chance of accomplishing. I think this synergy is the true benefit of collaborating. KB: It's funny the way it works: I always feel that I've contributed less than my 50% worth to any of our collaborations, yet you insist that you've done less than half. And yet the result is something neither of us could have written on our own... What is it, do you think, that makes a writing partnership work? EB: Well, it's necessary to know and trust the other person - at least, I know it is in my case. Also, you need to believe in the other writer's ability. I think we're very much on the same wavelength in terms of interests, views, outlook. We're good friends and there's certainly no ego problem about who should do what in a story, or who's name should go first, stuff like that. I'd find it hard to write a story that meant anything with someone I'd never met, or didn't particularly like. I've collaborated on two stories with Steve Baxter, another friend. We have very different writing styles, and approaches to science fiction. What happened was that I had a couple of ideas for hard SF stories - with the disadvantage of knowing nothing about science. Steve deconstructed the ideas, told me why they wouldn't work, and then we set about building them back up. The result was two stories I certainly wouldn't even have attempted solo, "Sunfly" in Interzone 100 (October 1995), and "The Spacetime Pit" Interzone 107 (May 1996). KB: I think it's possible to roughly categorise SF authors into two schools: those who do SF, and those who use it. Steve is one of the best doers in the business, with the big science-fictional idea always central, and the story and character a means of exploration. You and I are users, taking established SF tropes, twisting them and remixing them into something that we hope is new: the ideas in an Eric Brown story are often striking, but they are always secondary to the exploration of plot and character. The extra something in a Baxter/Brown story comes from the space between your two approaches; I suppose the extra something in a Brooke/Brown story comes from where we overlap and reinforce each other. EB: I think that what you add to the collaborations is a keener intelligence and a logical approach; you never let me get away with any scientific sloppiness or convenience, which I'd be quite happy to use in my own stories if so doing aided my overall intent - the communication to the reader of emotional intensity and atmosphere. As far as I'm concerned the science in my stories is secondary, and often not even that. For the rest of the week I wrote in the evenings after work until the story was well under way, then I e-mailed the part-written story to you (so much faster than relying on snail mail, as we used to!). You picked it up, continued the story, and sent it back to me a week later. I then wrote another chunk and sent it up north for you to finish. The result was the novella, "The Denebian Cycle", published in Interzone in February 2000. EB: I know from previous conversations that we both rate that as one of our best combined efforts, but one or two critics seem a bit too keen to read political messages into it, don't they? All of the short fiction we've written together has sold fairly quickly. The history of our collaborative collection wasn't quite as smooth... As I recall it, we both had the idea of collecting our stories together in book-form independently. EB: But it was you who actually got the ball rolling. You were in contact with Anthony Barker at Tanjen Books, a small press outfit based in Leicestershire. We signed a contract for a modest fee and the collection, entitled Parallax View, was due out in May 1999. It contained our six collaborations, and a solo tale by each of us - plus a fantastic introduction by Steve [Baxter]. I was looking forward to seeing the collection in print - Tanjen produced lovely looking books, and they were stories I believed in. And then, due to financial troubles beyond Anthony's control, Tanjen went out of business. I was pissed off, to put it mildly. It was the second book to be contracted for and then never published. 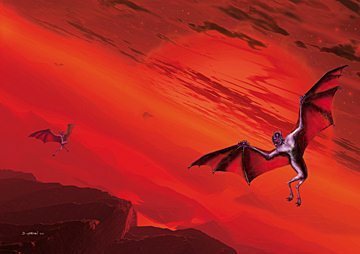 (Pan bought my fix-up book The Fall of Tartarus, way back in 1995, only to scrap the title when they dumped me and a whole load of other SF authors.) Both tales have a happy ending, though. Orion will be publishing The Fall of Tartarus some time after the concluding volume of my Virex trilogy and Parallax View is published in October 2000. Again, you made the first contact with our collection's new publisher, didn't you? KB: Well, I was contacted, anyway. An earlier version of this discussion was published in Interzone last year, where Robert Morgan read about Parallax View. He contacted me to ask if we were still seeking a publisher as he'd like to consider it for his new SF imprint at Sarob Press. We signed with him not long after: Sarob produce beautiful limited edition hardbacks and I'm really looking forward to seeing the book soon. Another step on the rocky road to the book's publication: the intended cover artist let Robert down and we both suggested approaching Dominic Harman and were delighted when he agreed not only to provide cover art but also to illustrate some of the stories. Dominic has illustrated many genre publications and has a huge future - in particular, he's illustrated several of your stories for Interzone, and now you host a Dominic Harman gallery on your website. How did that come about? EB: I admired Dominic's artwork - mainly the interiors and covers I'd seen in Interzone - long before I met him. (He did a particularly impressive colour interior for SF Age, illustrating my story "The Kings of Eternity".) I met him at a convention in Liverpool in '98 and got along well with him. We met again at this year's EasterCon in Glasgow. He mentioned then that he would like his own website, but that things like time and cost were proving prohibitive. It occurred to me that my website needed a bit of colour, and I later suggested that I host a kind of Dominic Harman gallery. KB: Our writing backgrounds couldn't really be more strongly contrasting, could they? I wrote a handful of stories as a student then, after graduating, I took a year out and sold Interzone the first story I wrote during that period. Then I wrote a novel and ended up with a three book deal with Gollancz. It wasn't quite an overnight success, but it all happened very fast. The first novel, Keepers of the Peace, was my angry young man novel: an answer to that unpleasant right wing sub-genre of military SF. I wanted to write something that appeared to fit into that category but subverted it, something that might make a few teenaged boys question the mindset of some of the writers they enjoyed. It's a thoroughly flawed book, of course, but it still means a lot to me. I followed it up with Expatria and Expatria Incorporated, high-spirited SF adventure stories, set on a low-tech colony world that's lost touch with the rest of humankind. The novels are the culmination of my GenGen future history: Max Riesling, the protagonist of my first Interzone story, has become the figurehead of a new capitalist techno-religion whose leaders want to recover their abandoned assets on Expatria. Now all three will be published in the US by Wildside Press in 2001. EB: Why did you turn to self-publishing with Lord of Stone? KB: Put simply: because no-one else would do it and I still believe that the novel is better than anything else I've had published. If anything, I was successful too early and have had a lot of learning to do in the years that followed. After the first three novels I thought I could do whatever I wanted. With the best possible intentions, my editors told me to write my important book next. I thought the timing was right: I'd written a serious book, then two 'entertainments', so it was time for something a bit heavier. So I wrote a war novel that was consciously influenced by Orwell's Homage to Catalonia. Lord of Stone is about the death of magic in a secular world, a fantasy thriller without much fantasy, set in an early 20th century world that wasn't quite our own. Despite the fact that it didn't fit any of the neat publishing categories, Gollancz said for a time that they wanted to publish it, then for some unexplained reason they changed their minds. The book did the rounds, but never found a home, and I finally realised that it was time to put it away and forget about it. Or put it on the web, which I did in December 1998. It's published as careware: if someone reads it and enjoys it, I hope they'll give a few quid to one of the charities named on the website. You wrote for years before the breakthrough came - I don't think anyone could accuse you of succeeding too quickly. To anyone who doesn't write, that kind of persistence might appear, er, obsessive... What kept you going? EB: Well, er, obsession, in a word. And ignorance. I left school at fourteen when I emigrated to Australia with my family. I was a poor pupil, in the D stream of my year, a lazy dunce who couldn't care less. All I was interested in was football. When I had the opportunity to leave school at fourteen and never go back, I grasped it with both hands. I'd never read a novel to that point, and I think it was nostalgia for England that made me read Cards on the Table by Agatha Christie when my mother suggested I try it. That book, I can safely say, changed my life. For however many hours I was living in a different world, with a different perspective. It was pure escapism, and I loved it. I've been an obsessive reader - escaper - ever since. Within two days of reading the Christie, I was writing my own whodunit. From then on I knew I wanted to be a writer. Then I came across a collection of stories by Robert Silverberg, Sundance, and at the same time Wells' War of the Worlds - and I was converted. For the next ten years, four in Australia and six on my return to England, I locked myself away and wrote a couple of hundred short stories and around twenty novels. It was pure, obsessive escapism. I must have thought that one day I might get something published, but at the back of my mind was the self-confidence thing, or rather the lack of: I was from a working class background with no education, so how the hell did I hope to become a writer? It got to the point where I put so much work in, that I couldn't stop. After ten years of non-stop writing (while doing factory work) I took a year off and travelled around India, writing there, too, but non-fiction, descriptive pieces, impressions. I came back at the age of twenty-five and the liberating experience of travel around a country as vast and alien as India, combined with the technique I'd built up through writing so much garbage over the past decade, paid off. I began writing the short stories that eventually appeared in Interzone, Other Edens, Zenith II. KB: That's exactly the kind of background I always envied: so much material, so much exotic imagery to cut and paste into stories! I came from a comfortably middle class family, living in a very ordinary town and it took me a long time to realise what a rich source of material that background contained: a lot of my near-future SF leans on that background, a lot my horror stories are set in a twisted version of the seaside town where I grew up. EB: What made you begin writing - how did you get your first break? KB: Fear of accountancy played a large part. In the mid to late 80s just about any reasonably numerate graduate was pushed towards a career in accountancy and I drifted through the interviews, accepted a job offer... and then the shock struck home. What was I doing? My wife-to-be, Alison, suggested I take a year out to write full-time. And so on the strength of two small press acceptances I became a full-time writer. As soon as I finished the first draft, I knew that the first story I wrote in that period was a significant step up from what I'd been writing before, and sure enough it sold to Interzone. I started work on Keepers of the Peace and pretty soon I was hooked. As the stories started to sell, my 'year out' extended itself. The novel did the rounds and received some encouraging rejection letters. I came so close to abandoning it: the only publisher left on my list was Corgi, but they didn't publish that kind of thing and I nearly didn't bother trying them. But I did and Julia Smith plucked it out of her towering slush pile and showed it to Colin Murray and I started to hear through the grapevine that they were interested. In the meantime I'd written Expatria, and I heard at a convention that the slush reader at Gollancz had recommended it. So I appointed an agent - your agent - who worked out a three book deal between the two companies, with Gollancz to do the hardbacks and Corgi to do the paperbacks. EB: And what are you working on at the moment? KB: These days I have to fit the writing in around my family and day job. A lot of my time over the last few years has been taken up with a fantasy novel based on an early Interzone story, "Riding the Serpent's Back", but I've also been keeping the short stories going and scaring children under a pen-name. And there's infinity plus, of course: as I've written before in Interzone (republished elsewhere on this site), what started out as a collective showcase to promote the work of myself and a few other writers has turned into one of the biggest sources of professional genre fiction on the WWW. I still find it somewhat difficult to believe that the site has so many high class contributors - Michael Moorcock, Kit Reed, Greg Egan, Terry Bisson and Vonda McIntyre, to name just five. And it keeps growing. EB: Yes, last year's novels both came out in March: the children's Web book Walkabout, and the SF novel Penumbra. The children's book in the Web series (my first was Untouchable, Orion Dolphin) came about when Simon Spanton, editor at Orion, had an idea for a series of linked young adult adventure stories set in the year 2026, featuring a cast of international characters with access to virtual reality - the Web of the title. I loved doing the two novels. The first was set in India, the second in Australia, so I used a lot of what I saw and experienced in both countries. One of the gratifying things about the Web books, apart from working with a good editor and good writers, was the room for manoeuvre in the novels: we were tied to a common background, but the subject of a virtual world opened up a lot of interesting possibilities and scenarios. So far the series has been translated into half a dozen languages, at the last count. 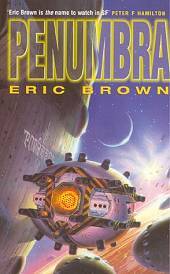 Penumbra is an SF adventure story, a space opera along the lines of Engineman, though not set in the same future as that novel. I use three viewpoint characters - a device I find useful to crank up the tension and move the story along. The central character is Josh Bennett, a jaded tug pilot (in the words of the back-cover blurb) whose life as the novel open is a series of disasters and misfortunes. The second viewpoint character is Rana Rao, an Indian police officer on the trail of a serial killer (the third viewpoint character) in a future Calcutta. (Yet again I get to use India as a backdrop.) I suppose the novel is about the redemption of Bennett, the discovery of a universal Buddhist-analogue religion, with lashings of space operatic derring-do. KB: And since finishing those two books you've committed trilogy, haven't you? EB: Okay, I admit it. I called the books, unoriginally, the Virtual Reality trilogy: Virtual Nights, Virtual Blues, and Virtual Dreams. And then you pointed out that not only were the titles cliched, but something like them had been done before - and Simon at Orion agreed. So we wracked our brains and ended up renaming them New York Nights, New York Blues and New York Dreams, collectively known as the Virex trilogy. The first volume came out in March 2000, with the others to follow in 2001 and 2002. They're thrillers set in New York in the year 2040. The central characters, Hal Halliday and Barney Kluger, run a missing persons investigative agency, and virtual reality is starting up as the first book opens. The novels chart the growth of VR from a mere form of entertainment to a way of life - but, as ever with my stuff, the characters and their problems are in the forefront. KB: I know we have broadly similar tastes in SF, but who were your early influences, and who are you reading these days in the genre? EB: Silverberg was a big influence when I was younger. I began reading him at about 15, devoured all his early stuff and loved it - The Master of Life and Death, The Seed of Earth, Collision Course, all great adventures. Then I came across his masterpieces, Dying Inside, Thorns, Son of Man... novels surely among the finest SF ever written. I like Michael Coney's books, especially Hello Summer, Goodbye and The Girl with a Symphony in her Fingers. These days I'm reading Jack Vance, Richard Paul Russo, Robert Charles Wilson. His The Harvest is tremendous. What about you? I know you review a lot of the latest titles for infinity plus... Do you get to read much for pleasure? KB: One of the great things about being publisher of infinity plus is that I get first pick of the review copies! The only problem is I can't keep all the good ones for myself... My favourite writers in the genre are Kim Stanley Robinson, Ian McDonald (if you haven't read Chaga yet, you really should!) and Robert Charles Wilson. And, like you, I'd rate Silverberg's Dying Inside as one of the finest novels of all time. For a long time, most of my pleasure reading was outside SF - I'm a great fan of Ian McEwan, Graham Greene and William Boyd - but the reviewing tends to get in the way of that these days. EB: Makes my life seem an oasis of calm by comparison! Coincidentally, I also have a collection due out from Wildside next year, called Deep Future, and I recently finished writing introductions to the stories in that book. I'm currently working on something for PS Publishing's excellent novella series. Other than writing, I occupy my time with football - playing twice a week - my allotment and the local flower and vegetable association, of which I'm the Treasurer. I also write reviews for a website devoted to the curry houses of Bradford - people have said that it contains my finest fictions. KB: You won the BSFA short fiction award this year (2000) - congratulations. EB: Yes, for "Hunting the Slarque". I've been nominated several times, but this was the first time I won. KB: The preceding year your "Vulpheous" came second by one vote. I suppose I should have voted for you then. KB: Enough. Thanks for talking. stories by Keith Brooke - Adrenotropic Man; The Art of Self-abuse; Professionals; Solo. stories by Eric Brown - The Crimes of Domini Duvall; The Disciples of Apollo; The Phoenix Experiment; Pithecanthropus Blues. features by or about Keith Brooke - annotated bibliography; find out how science fiction lost the space race; the infinity plus story; Keith writes many of the reviews on this site; and read a review of Lord of Stone. features by or about Eric Brown - reviews of the collection Blue Shifting, and novels Penumbra and Untouchable; Eric introduces James Lovegrove's Gig; Eric also writes the occasional review, himself. other stuff - find out about Keith Brooke or Eric Brown. contact - e-mail Keith Brooke or Eric Brown.